I had wanted to try this ever since reading about it in this cracking elmundovino tasting back in 2009. A really top class panel gave it a glowing review and very nearly top marks. It also comes from Sanchez Romate, whose Fino Perdido is an absolute cracker. I have a slight beef about the bottle shapes (and the closures) but there is no doubt they are attractive and cheap. What struck me at the time I read that review (from 2009 but I got to it in 2012) was that the wine only cost around €36. Even last week (in 2016) I picked this up for €34 – a classic example of the great value you can get, or of the scandalously low returns for wine making, depending on your point of view. 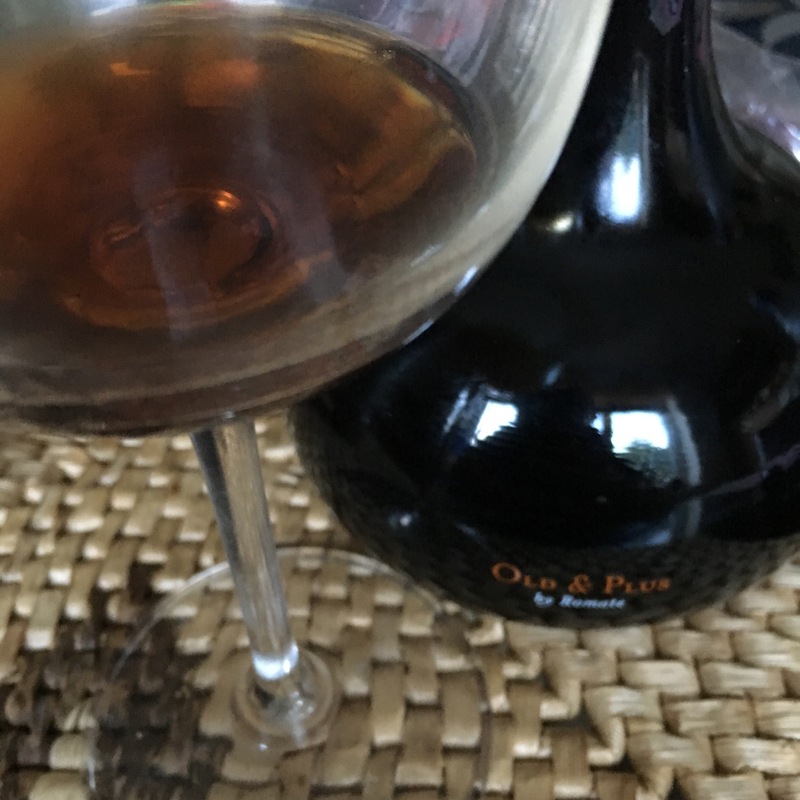 The wine is a deep chestnut brown in colour -and has a really atractive nose of shrivelled old black raisins and nuts – like a bag of party mix – and maybe just a bit of burnt barrel edge. Just a little bit of sweet figs maybe. On the palate it is relatively dry compared to that nose but still has a suggestion of sweetness – those old raisins again. Nice little bite of acidity and full of flavours – caramels fading to woodiness and barrle flavours like cigar box and tobacco, but not dusty or astringent, and a long, long finish that gets nuttier. Fine and balanced for such an old wine and very drinkable – maybe I won’t have to worry about storing it after all.